Would you like to make this lovely pair of earrings? If your answer is yes, read on. 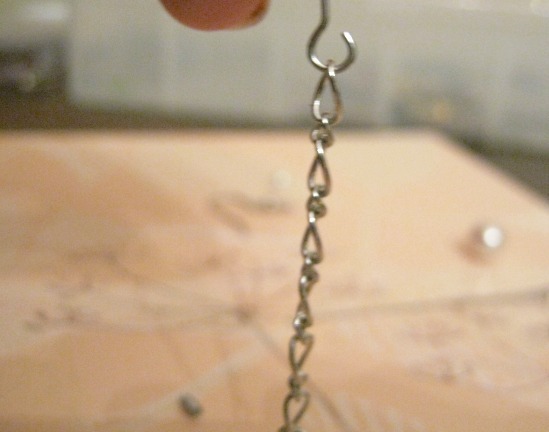 Cut chain into two pieces, about 1 inch long. 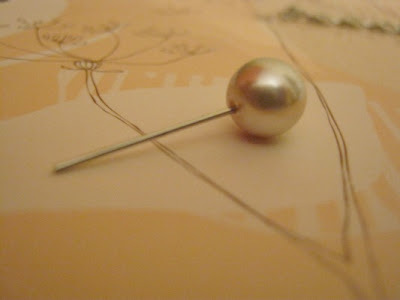 Thread 1 large pearl onto a headpin. 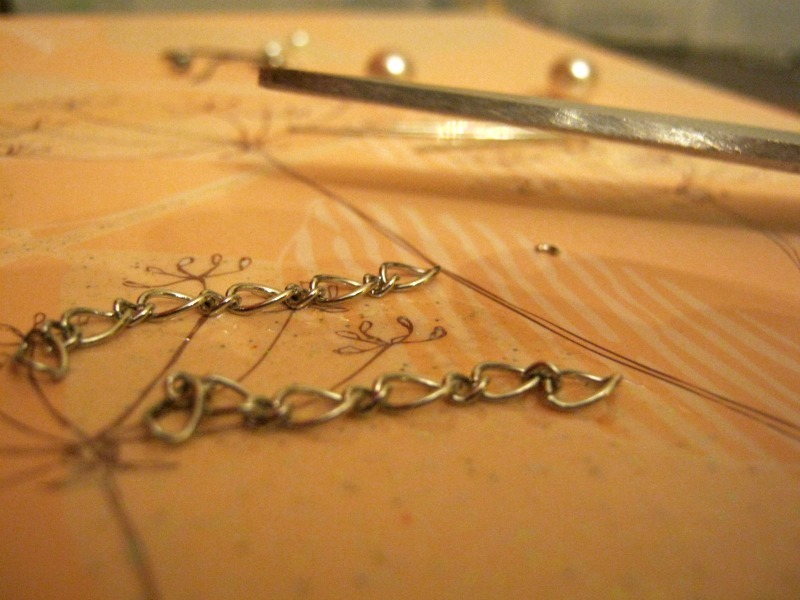 Make a loop with the headpin and cut of excess wire. 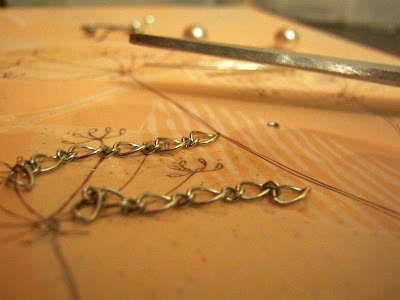 Thread unto the bottom of the chain. 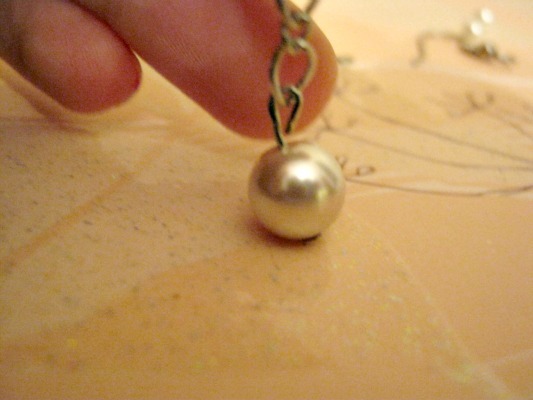 Repeat with small pearl. 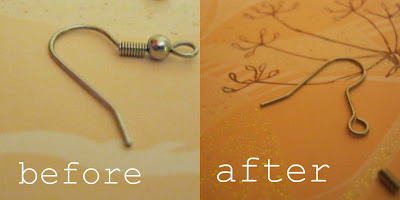 Take the ball and coil off the earwire, then using jewelry pliers slightly open the loop on the earwire. 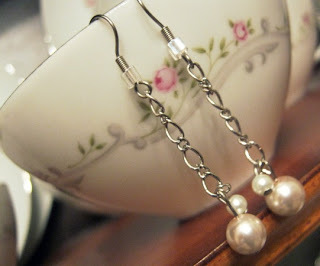 Slide chain on to earwire, close the loop, then slide the ball and coil back on the earwire. You can optionally slide a small bead on to the earwire instead of the metal ball. I would love to hear if you tried this tutorial! Leave a comment if you like. I'm a new follower, btw. I tried to follow the link to your other blog, but it told me permission was denied? Oh, well, i love your jewelry! Blissful Art. Designed by Mary Grace D. Simple theme. Theme images by Jason Morrow. Powered by Blogger.